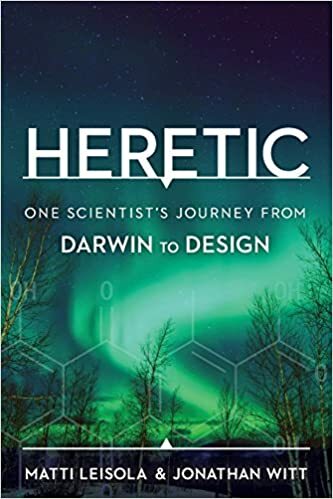 After reading Leisola and Witt’s book, it is clear that a paradigm shift is needed in order to explain the origin and diversity of life, from chemical and Darwinian evolution towards a design explanation. This raises the question of whether the research community is willing to follow the evidence and allow such a shift to take place. If not, there is a great risk that the judgement of future generations will be hard. However, such a change will not come easily, since ultimately our worldview is at stake. – Ola Hössjer, Professor of Mathematical Statistics at Stockholm University More. Yes, that’s just the point. Darwinism could arguably have explained 1958 biology but not 2018 biology. The entrenchment of the Darwinian old guard is a form of intellectual decay at that point. Nick Matzke’s research critiqued in Journal of BioGeography Just think: Matzke gets a chance to be dissed under the normal rules he would deny to others. But things may be changing on him. Recently, it seemed okay for Basener and Sanford to just publish a critique of Fisher’s Darwinian Theorem as well. Is “the Darwinian government” (apparently, the late Jerry Fodor’s words) losing its power? Black hole size void? As many of us have noted Darwinism is no longer science. I would challenge our a/mat interlocutors to read it. Very well written and very challenging to their worldview. It never was science. Contrast that with Mendel that actually experimented, and by the way showed Darwin’s gradualism to be false. The 1958/2018 point also applies to the abortion argument. 60 years ago it was possible to distinguish between “religious” and “scientific” judgments. At that point there was no “scientific” reason to draw a line before 20 weeks. We didn’t know much about what the baby was doing in there, and we didn’t have any reason to think survival was possible. Later developments in medical techniques have constantly moved back the line on both visibility and viability. Now we can SEE and SAVE living human babies much earlier, with no obvious backward limit. In 1973 new medical techniques were already on the move, so Roe v Wade was a last-minute reactionary power grab, necessary to maintain the profitability of killing. If you thought SCOTUS had a sensibility for justice, you might want to wake up. The R v W and D v B decisions were skid-greased abuses of everything you ever thought a court was supposed to do. Darwin was an archetypal scientist. His seminal work has been built upon and expanded into the current field of evolutionary biology which has no serious competitor at this time. Darwin’s initial mechanism for inheritance was pangenesis, a kind of blending inheritance. He came to accept that blending inheritance was a fatally flawed concept based both on the criticism of others and some hybridization experiments of his own with sweet peas. As far as is known, he was entirely unaware of Mendel’s much more extensive research with plants but was moving towards the idea of particulate inheritance. “Gradualism” in the context of Darwin’s theory of evolution usually refers to his emphasis on it proceeding in small, incremental steps over very long periods of time. @Seversky, my understanding is most biologist do not operate in a Darwinian paradigm. Most make design assumptions. But, they have to toe the party line, and so give lip service to Darwinism. Darwinism could arguably have explained 1958 biology but not 2018 biology. I would agree, except that one very small adjustment is needed. Darwinism could arguably have explained biology at most through 1957. That was the zenith for the paradigm of neo-Darwinism. However, when Francis Crick proposed the Sequence Hypothesis in 1958, that discovery was effectively the beginning of the end for the plausibility of Darwinism and all bottom-up explanations. A coded sequence specifying functional information cannot be explained by any unguided bottom-up natural process. Materialistic reductionism lost its plausibility for biology at that point. Only top-down intentional arrangement can account for the existence of sequences of encoded functional information. Blind mindless forces will never invent a code to write down coded recipes for functional proteins, including the innovative functional proteins needed for new kinds of life. They cannot anticipate the recipes for future proteins or ribozymes. They cannot reliably produce proteins or ribozymes without information based recipes. Even the idea of trying and searching implies converting energy toward directed work, which requires enzymes (whether proteins or ribozymes). Blind forces cannot convert energy to directed work to look for proteins without having enzymes (as proteins or ribozymes) that can only be created according to sequential information based recipes. And mindless processes of chemistry and physics don’t care about what is needed for life or to make new kinds of life. A dead rock will satisfy all requirements of chemistry and physics just fine. Chemicals don’t “try” to form diverse forms of systems for sustainable life. So 2018 is an anniversary year to celebrate. It is the 60 year anniversary of the pivotal discovery that marks the beginning of the end for bottom-up explanations for biology. The big divide in modern biology is the split between Before Sequence Hypothesis and After Sequence Hypothesis. Those two conceptions of life are profoundly different down to the most fundamental level.